Long story short at the end of the class, they challenged me to do an Ignite presentation. So, when the opportunity came up at Ignite Lansing 2.0, I submitted my idea, and people wanted to hear what I had to say! 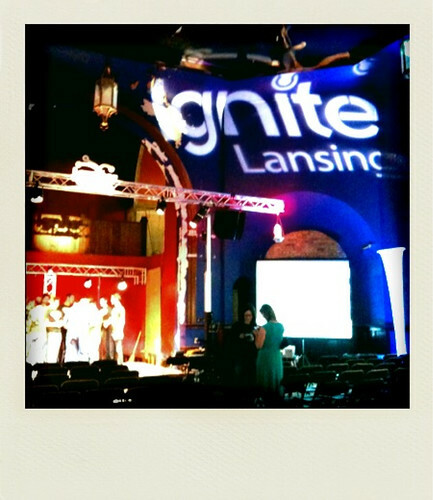 BIG thanks to all involved in putting on the Ignite Lansing show, but a special thanks to @quetwo for capturing the evening and producing our presentations!!! A big thank you to all of my students – past, present and future – for continuing to inspire and challenge me! Nice job Leigh. I like best the way you are making all your interests work together in one coordinated whole. Often it seems I’m going in several directions at once, but watching the way you focus all your interests in a coherent fashion gives me pause to wonder if I can/should do the same. Keep up the fine example to us all.